double-crossed by Fred the Count and winds up going to prison for a crime the Count committed. The dapper jewel thief, Boston Blackie, is determined to go straight and is about to be married to Mary Dawson. At a celebration held on the eve of his marriage to Mary, he is double-crossed by Fred the Count when the Count plants a stolen jewel on Blackie. Blackie is arrested and sentenced to twenty years in jail. Framed by Fred and sent to jail for a crime the Count committed, but why? Fred the Count evidently has eyes for Mary as he tries to win Blackie's fiancee, but the honorable Mary rejects him. Blackie has to get out of prison to prove his innocence. Blackie figures his only hope for escape is from the prison hospital, so he manages to get into a weakened state to get admitted. He escapes from the hospital, but is trailed by the warden who tracks him down. 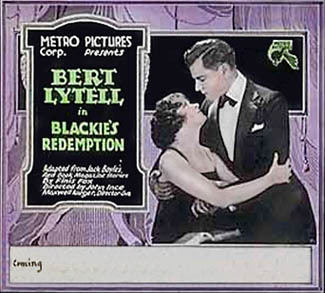 Blackie refuses to shoot the defenseless man, and the warden recognizes Blackie as an honorable person and allows him to escape. Blackie then turns the tables on the Count by setting him up to get caught on a job. Fred the Count winds up in prison and Blackie and Mary travel far away to Honolulu to start their lives over again.